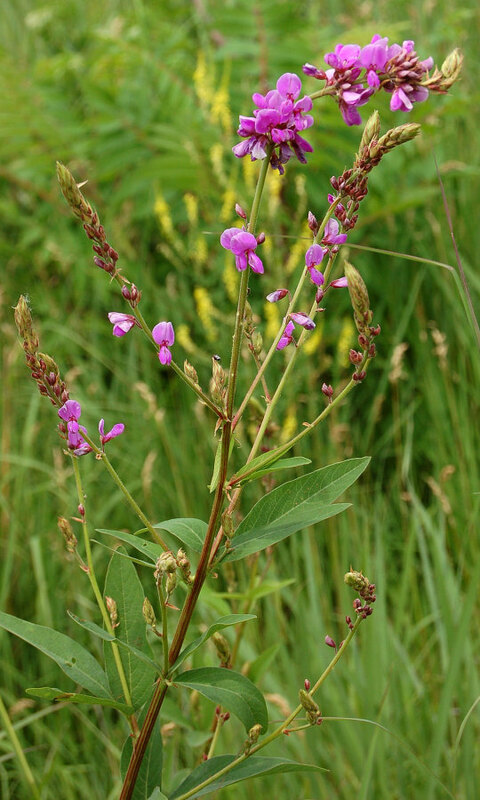 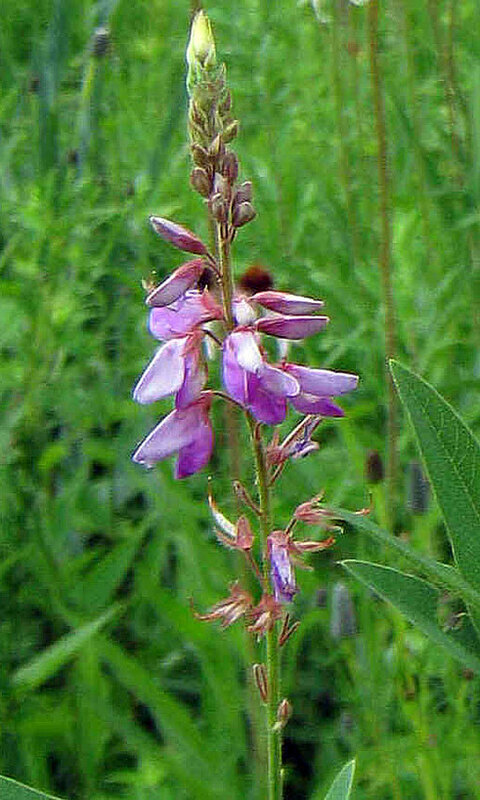 Canada tick trefoil grows in prairies, savannas, and woodlands, often on sandy or gravelly soil on lower slopes or near swales. 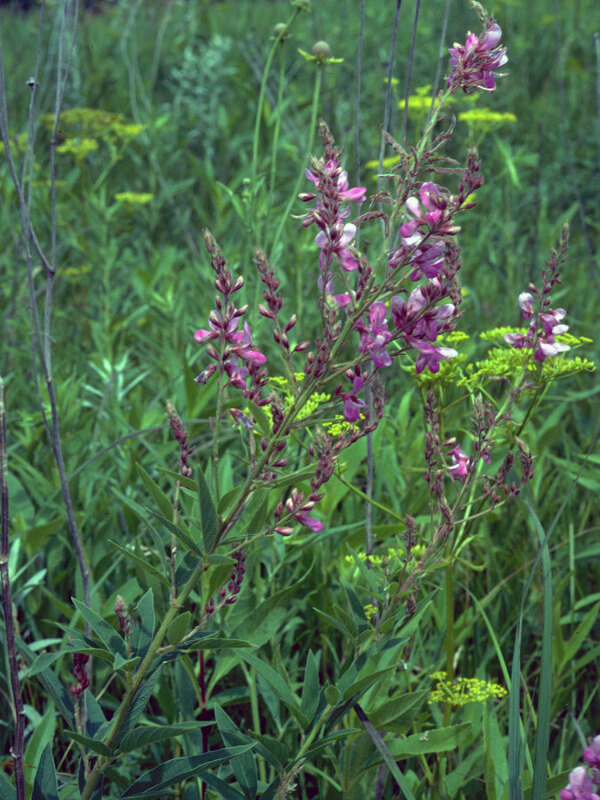 It has showy flowers and readily re-seeds. 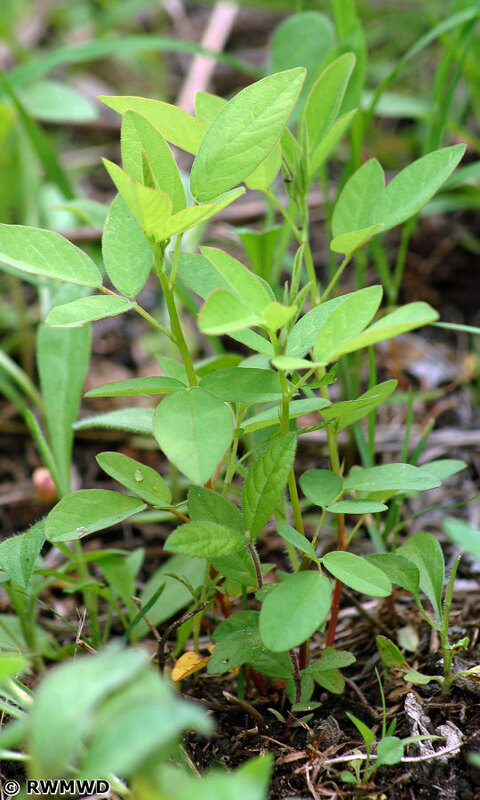 Plant in mixtures so it won't have room to become a nuisance---otherwise, woolly clothes and fur will be covered with flat "adhesive" segments of the seed pods.